Custom record/travel bag for a good friend on his way to Japan! A thin messenger bag that is adjustable and can carry 6+ records is quite perfect. 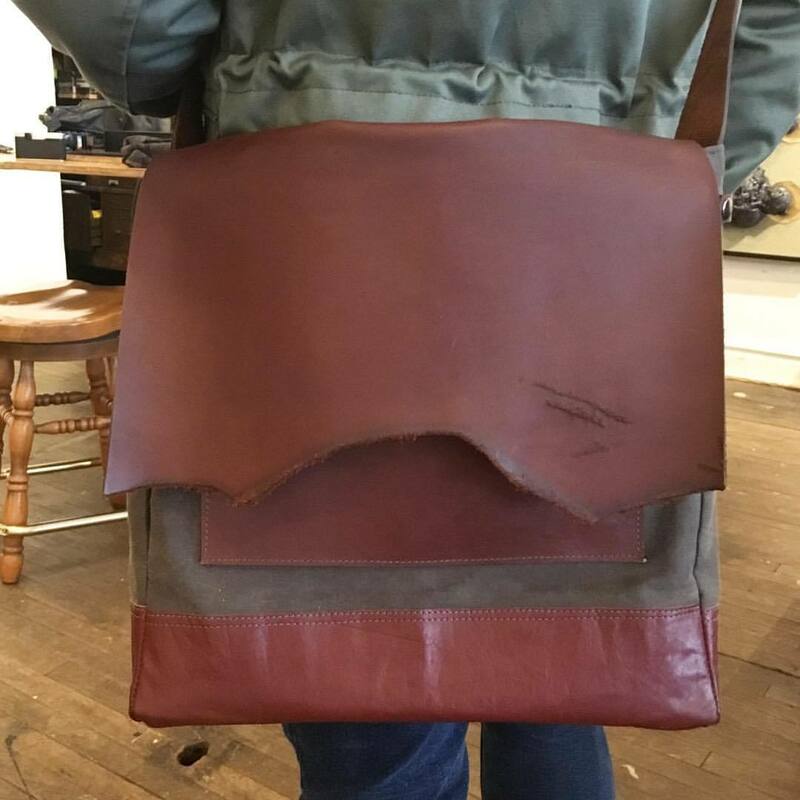 Made from a mix of upcycled leather and canvas and rawhide.